Recently, a lot of people think that Dragon Age 4 release is going to happen. Fans have begun some speculations about the BioWare’s side project. Somehow these rumors are true to some extent. Moreover, a recent news has revealed that the studio is working on a new title other than Anthem. This new project has gone so far in development that its voice acting phase has already started. The first report came from IGN Greece about this new project. Furthermore, several other sources have also claimed that they got word from a BioWare employee. He claimed that the developers are working on a new title and fan thinks its Dragon Age 4 release. Although, he refused to reveal the actual title of the game but he said that it was from one of BioWare’s old franchises. He also hinted that the game will have its settings in medieval ages. The same source in BioWare revealed that this new title is currently in its voiceover development. So, the game is progressing at a steady pace. Even if the speculations are true we may see a Dragon Age 4 release very soon. Estimating from this pace we can assume the game may come out sooner than expected. Some fans are hoping for it to be in the year 2020. Another big teaser came out when a voice actor for the new title revealed some hidden details. Greg Ellis who voiced the character Cullen revealed new information on his Twitter account. A few days ago, he revealed that he is working on a new game title of an iconic series. Additionally, he said that the name of the gaming studio that hired him started with ‘B’. 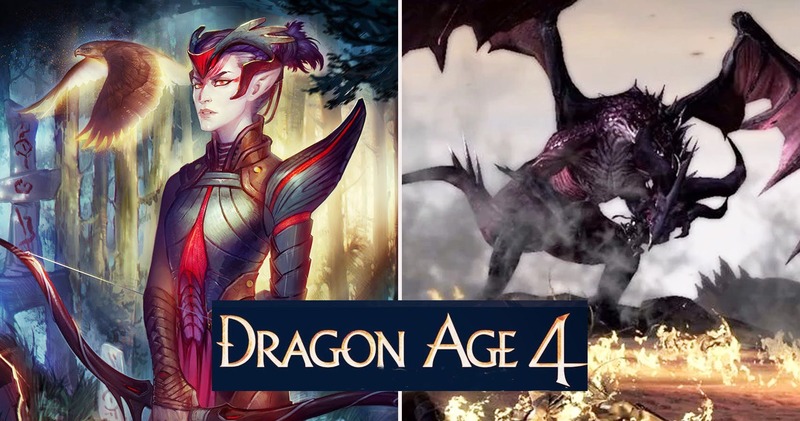 There is still not much information on Dragon Age 4 release and what this new title will be named? However, with the popularity of this franchise and the recent expectations of the fans, BioWare will have to make some official statements soon. This also seems as a backup plan for the gaming studio in case the sales of Anthem don’t go as expected. Another claim has revealed that if Anthem won’t work out for BioWare, it may shut down afterward. We still don’t know what will happen to Dragon Age 4 release in such a scenario?